Cut the potatoes in half. Place them in a bowl. Drizzle olive oil over top. just enough to coat. Add seasoning of your choice and toss, making sure all of the pieces are well coated. Place on a baking sheet and bake at 425F for 30-35 minutes until they are fork tender. 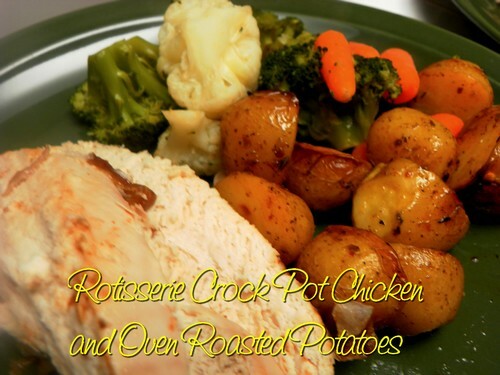 We love to serve them with chicken made in the crock pot, rotisserie style. So moist and flavorful! You can go to that recipe by clicking on the photo above.